Review 132. Ginger Garrett – In the shadow of the Lions. 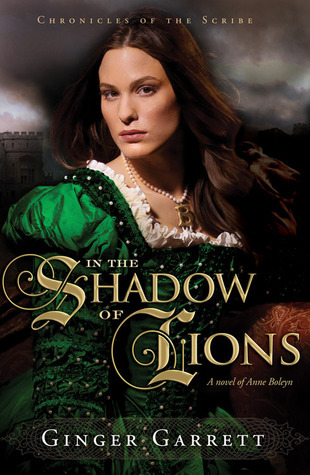 Title: In the shadow of the Lions: a novel of Anne Boleyn. "I am the first writer, The Scribe. My books lie open before the Throne, and someday will be the only witness of your people and their time in this world. The stories are forgotten here, and the Day draws close. I will tell you one of my stories. You will record it." 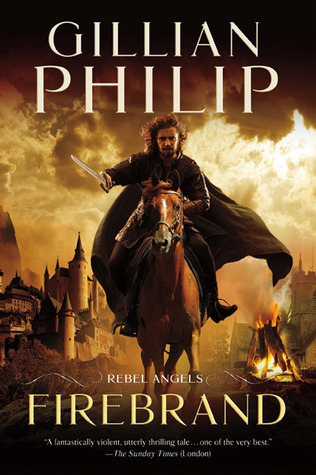 So begins the narration of one such angel in this sweeping historical tale set during the reign of England's Henry VIII. It is the story of two women, their guardian angels, and a mysterious, subversive book. A book that outrages some, inspires others, and launches the Protestant Reformation. The devout Anne Boleyn catches the eye of a powerful king and uses her influence to champion an English translation of the Bible—Scriptures the common people could read for themselves. Meanwhile, Rose, a broken, suicidal woman of the streets, is moved to seek God when she witnesses Thomas More's public displays of Christian charity, ignorant of his secret life spent eradicating the same book, persecuting anyone who dares read it. Interesting story. 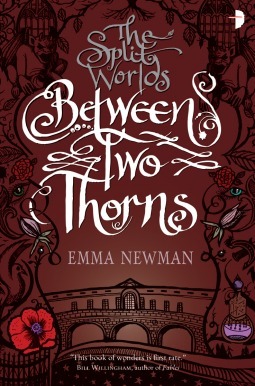 The beginning of this book was a little strange, but I liked the parts where we read more about Anne Boleyn. There is just something fascinating about her. Elizabeth May – The falconer. Lady Aileana Kameron can sing, paint prettily, and murder the fae as easily as dancing a waltz. But how far is she prepared to go for vengeance . . . ? 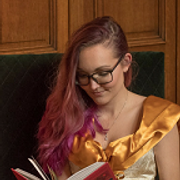 18-year-old Lady Aileana Kameron, the only daughter of the Marquess of Douglas, was destined to a life carefully planned around Edinburgh’s social events – right up until a faery kills her mother. Now it’s the 1844 winter season. Between a seeming endless number of parties, Aileana slaughters faeries in secret. Armed with modified percussion pistols and explosives, every night she sheds her aristocratic facade and goes hunting. She’s determined to track down the faery who murdered her mother, and to destroy any who prey on humans in the city’s many dark alleyways. But she never even considered that she might become attracted to one. To the magnetic Kiaran MacKay, the faery who trained her to kill his own kind. Nor is she at all prepared for the revelation he’s going to bring. Because Midwinter is approaching, and with it an eclipse that has the ability to unlock a Fae prison and begin the Wild Hunt. A battle looms, and Aileana is going to have to decide how much she’s willing to lose – and just how far she’ll go to avenge her mother’s murder. 2. She is slaughtering faeries in secret with pistols and explosives. Title: A shade of vampire. Source: I got an e-copy from the author. Buy: USA paperback. USA ebook. UK paperback. UK ebook. Published: January 17th 2012 (first published January 1st 2012). For months Clara Gardner trained to face the fire from her visions, but she wasn't prepared for the choice she had to make that day. And in the aftermath, she discovered that nothing about being part angel is as straightforward as she thought. Now, torn between her love for Tucker and her complicated feelings about the roles she and Christian seem destined to play in a world that is both dangerous and beautiful, Clara struggles with a shocking revelation: Someone she loves will die in a matter of months. With her future uncertain, the only thing Clara knows for sure is that the fire was just the beginning. This book was even better than the first one. There is much more action and less Tucker obsession. It was fast-paced and I liked the plot. There was a twist I suspected, but some things still managed to surprise me. Hosted by: Kate’s Tales of Books and Bands. Halfway around the world, Scarlet Benoit’s grandmother is missing. 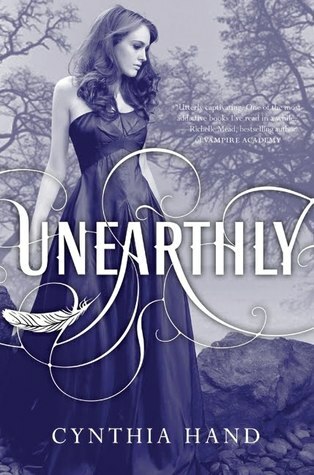 It turns out there are many things Scarlet doesn’t know about her grandmother and the grave danger she has lived in her whole life. When Scarlet encounters Wolf, a street fighter who may have information as to her grandmother’s whereabouts, she has no choice but to trust him, though he clearly has a few dark secrets of his own. 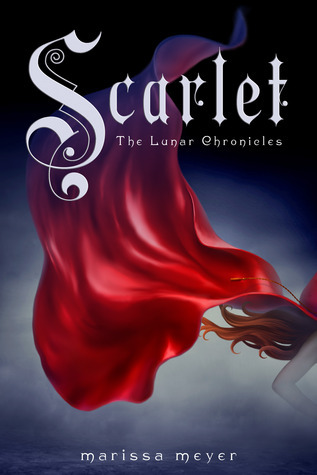 As Scarlet and Wolf work to unravel one mystery, they find another when they cross paths with Cinder. Together, they must stay one step ahead of the vicious Lunar Queen who will do anything to make Prince Kai her husband, her king, her prisoner. 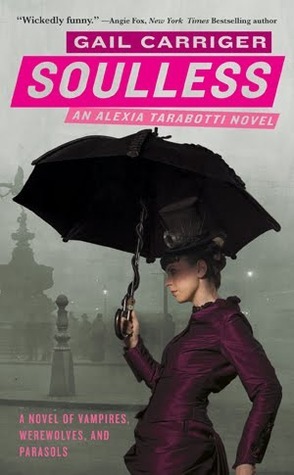 *Happy dance* I couldn’t resist buying my shiny copy from Scarlet when I saw it in the bookstore. It’s so pretty and I’m currently reading it. Finally, after waiting for such a long time! Review of Cinder: click. I also got a review request from Bella Forrest. 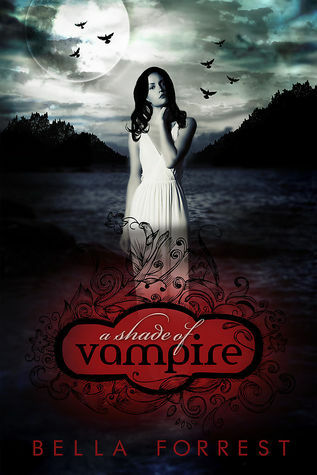 I got an e-copy from her book A shade of vampire. I thought it sounded interesting and I can’t wait to try it out. That is it for this week! Show me your haul by leaving a link in the comments. In the beginning, there's a boy standing in the trees.. Clara Gardner has recently learned that she's part angel. Having angel blood run through her veins not only makes her smarter, stronger, and faster than humans (a word, she realizes, that no longer applies to her), but it means she has a purpose, something she was put on this earth to do. Figuring out what that is, though, isn't easy. 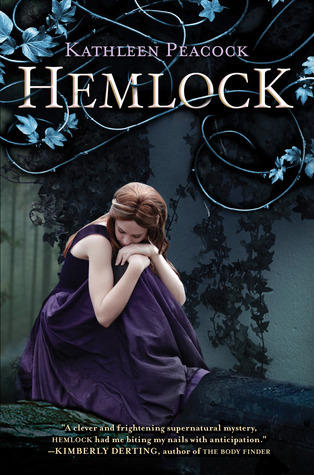 Her visions of a raging forest fire and an alluring stranger lead her to a new school in a new town. When she meets Christian, who turns out to be the boy of her dreams (literally), everything seems to fall into place and out of place at the same time. Because there's another guy, Tucker, who appeals to Clara's less angelic side. As Clara tries to find her way in a world she no longer understands, she encounters unseen dangers and choices she never thought she'd have to make between honesty and deceit, love and duty, good and evil. 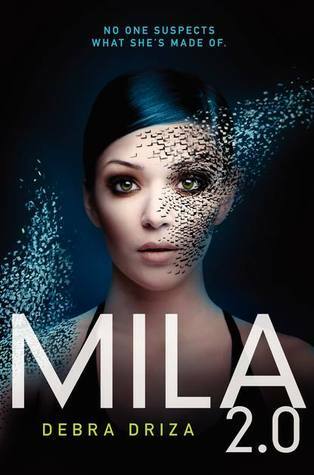 When the fire from her vision finally ignites, will Clara be ready to face her destiny? This book was definitely better than expected! It wasn’t filled with clichés and I liked the refreshing take on Angels. The love-triangle did work for me and I’m happy that the romance didn’t play the main role in this book. 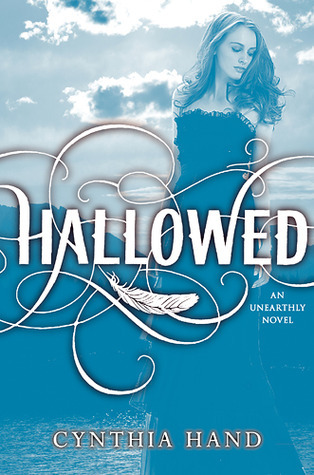 I will be reading part two, Hallowed, soon and I’m very excited about it. Title: Winter’s child: a retelling of the Snow Queen. Free-spirited Grace and serious Kai are the best of friends. They grew up together listening to magical tales spun by Kai's grandmother and sharing in each other's secrets. But when they turn sixteen and Kai declares his love for Grace, everything changes. Grace yearns for freedom and slowly begins to push Kai - and their friendship - away. Dejected Kai dreams of a dazzling Snow Queen, who entices him to leave home and wander to faraway lands. When Grace discovers Kai is gone, she learns how much she has lost and sets out on a mystical journey to find Kai...and discover herself. One thing that bothers me is the fact that the blurb is incorrect. How is that possible? Grace’s grandmother always tells the magical tales and it is strange that they talk about the Snow Queen, since the book only mentions the Winter’s child. 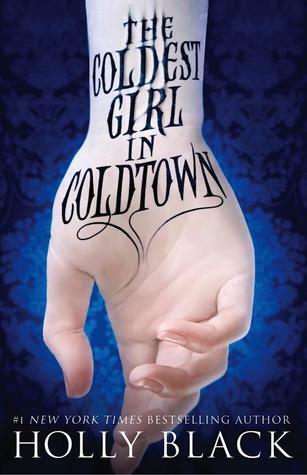 Holly Black – The coldest girl in Coldtown. Expected publication: September 17th 2013 by Little, Brown Books for Young Readers. COLDTOWN WAS DANGEROUS, TANA KNEW. A GLAMOROUS CAGE, A PRISON FOR THE DAMNED AND ANYONE WHO WANTED TO PARTY WITH THEM? Tana lived in a world where walled cities called Coldtowns exist. In them, quarantined monsters and humans mingle in a decadently bloody mix of predator and prey. The only problem is, once you pass through Coldtown's gates, you can never leave. One morning, after a perfectly ordinary party, Tana wakes up surrounded by corpses. 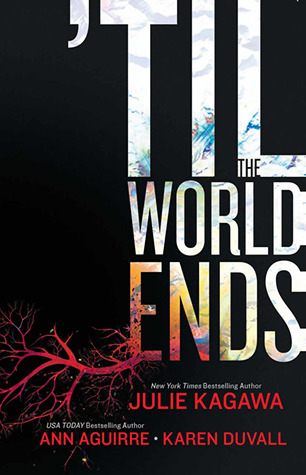 The only other survivors of this massacre are her exasperatingly endearing ex-boyfriend, infected and on the edge, and mysterious boy burdened with a terrible secret. 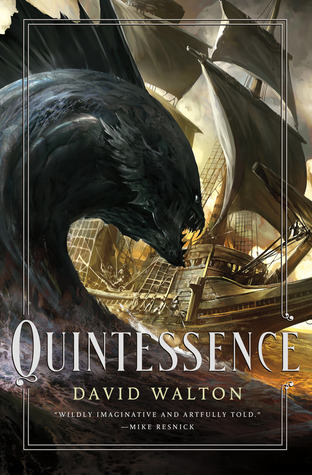 Shaken and determined, Tana enters a race against the clock to save the three of them the only way she knows how: by going straight to the wicked, opulent heart of Coldtown itself. I haven’t read any work from Holly Black before, but I’m really fascinated by this blurb. Leave a link to your pick this week! Source: I received a copy from the publisher for this honest review. Mackenzie and Amy were best friends. Until Amy was brutally murdered. Since then, Mac's life has been turned upside down. She is being haunted by Amy in her dreams, and an extremist group called the Trackers has come to Mac's hometown of Hemlock to hunt down Amy's killer: A white werewolf. Lupine syndrome--also known as the werewolf virus--is on the rise across the country. Many of the infected try to hide their symptoms, but bloodlust is not easy to control. Wanting desperately to put an end to her nightmares, Mac decides to investigate Amy's murder herself. She discovers secrets lurking in the shadows of Hemlock, secrets about Amy's boyfriend, Jason, her good pal Kyle, and especially her late best friend. Mac is thrown into a maelstrom of violence and betrayal that puts her life at risk. The take on werewolves added something new to the genre.The characters were alright and the mystery around Amy’s dead was enjoyable. I wasn't completely blown away by the story, though. Expected publication: February 26th 2013. Something is wrong in Aquae Sulis, Bath’s secret mirror city. The new season is starting and the Master of Ceremonies is missing. Max, an Arbiter of the Split Worlds Treaty, is assigned with the task of finding him with no one to help but a dislocated soul and a mad sorcerer. There is a witness but his memories have been bound by magical chains only the enemy can break. A rebellious woman trying to escape her family may prove to be the ally Max needs. But can she be trusted? And why does she want to give up eternal youth and the life of privilege she’s been born into? Meet the intricate and difficult world of Nether. It’s a place between our world (called Mundanus) and the world of the Fae (Exilium). One of the big cities is Aqua Sulis and all the important and Fae-touched families live here. This book tells the story of several characters. First we get to know Sam, a Mundane. He is in the wrong place at the wrong time and that makes him a valuable eye-witness. He has no idea what is going on when he is questioned by Max and a sorcerer. Max is an Arbiter and he is assigned with the investigation of the disappeared Master of Ceremonies. When he and the sorcerer discover that Sam’s memory is locked by a powerful Charm, he must find someone who can help them. That’s when Catherine’s, also Cathy, story comes in the picture. Cathy ran away from her powerful family in Aqua Sulis. She lives in Mundanus, protected by a spell to keep her family from finding her. When Lord Poppy (a high Fae lord) takes a certain interest in her, her time in Mundanus is over. She is taken back to her parents and they already made plans for her future: she is going to marry William, second son from another rich family. I like how these different stories come together, but I wished they connected sooner. I was waiting for the moment, but it felt a bit rushed when it finally happened. From all the people in the book, I found Cathy’s POV the best. Her story is sad. She is desperate to live in our world, far away from her fathers terror. I love how she never gave up and she stays true to herself. What I also appreciated was the fact that she was described as ‘plain looking.’ Finally something else than flowing, shining hair and dazzling eyes. I liked the original Arbiter. This is someone whose soul is dislocated from his body. The downside was the disconnecting I felt with Max; he has no emotions. He felt a bit flat. Review 123. 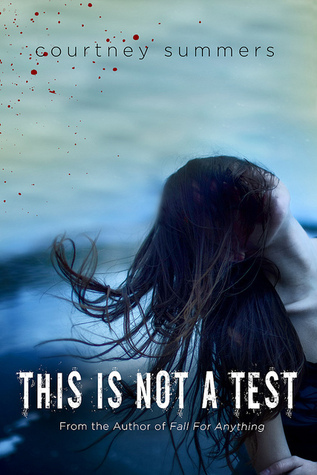 Courtney Summers – This is not a test. Title: This is not a test. What a heart breaking book! Be prepared for a very dark, gritty story with a cruel ending. I literary spent five minutes staring at the last line. How can you end a book like that? I need more than this, Summers! And I missed the answer to: how did it start? The zombies were just there, appearing out of thin air. These two points lowered the rating to 4.5, still very good. 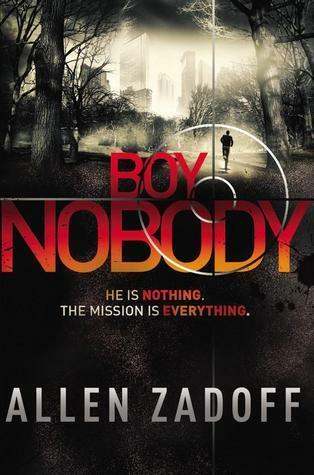 Allen Zadoff – Boy Nobody. Amber Argyle – Winter Queen. Expected publication: June 19th 2013 by Starling Publishing. 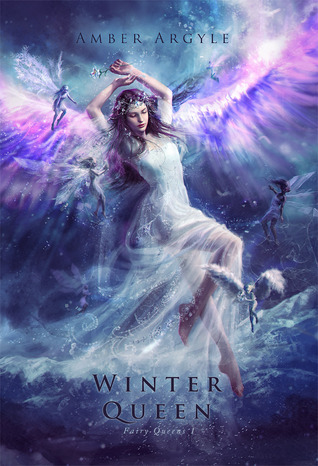 Mortally wounded during a raid, seventeen-year-old Ilyenna is healed by winter fairies who present her with a seductive offer: become one of them and share their power over winter. But that power comes with a price. If she accepts, she will become a force of nature, lose her humanity, and abandon her family. Unwilling to pay such a high price, Ilyenna is enslaved by one of the invaders, Darrien. While in captivity, she learns the attack wasn’t just a simple raid but part of a larger plot to overthrow her entire nation. With the enemy stealing over the mountains and Darrien coming to take her to his bed, Ilyenna must decide whether to resurrect the power the fairies left behind. Doing so will allow her to defeat Darrien and the other invaders, but if she embraces winter, she will lose herself to that destroying power—forever. 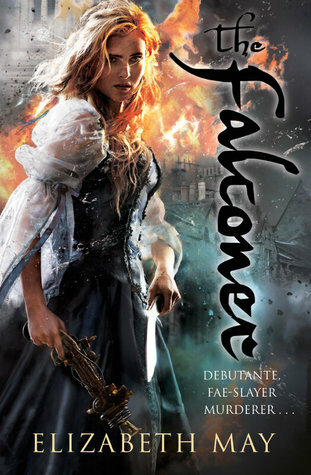 And I recently saw the cover from Cold Spell, part four of the fairytale retellings from Jackson Pearce. I had to show it: pretty!